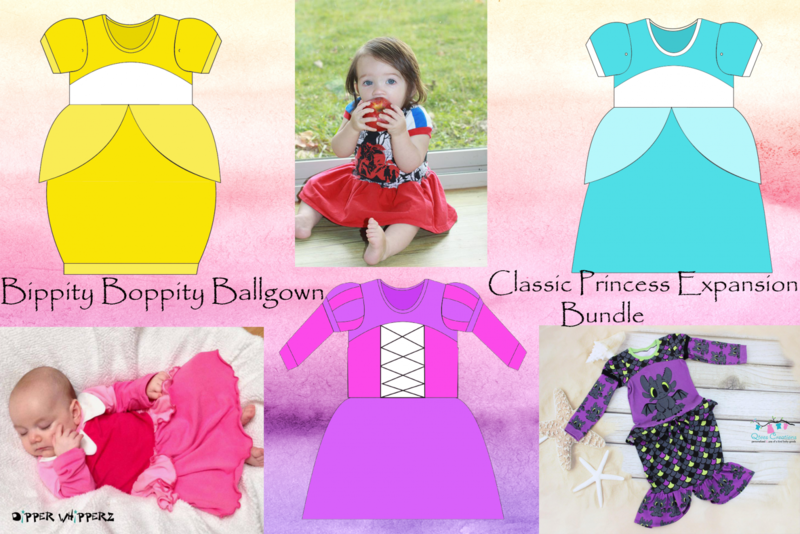 The Bippity Boppity Ballgown Classic Princess Expansion Pack is an add-on pattern to the Bippity Boppity Ballgown pattern. IT IS NOT A COMPLETE PATTERN ON ITS OWN. 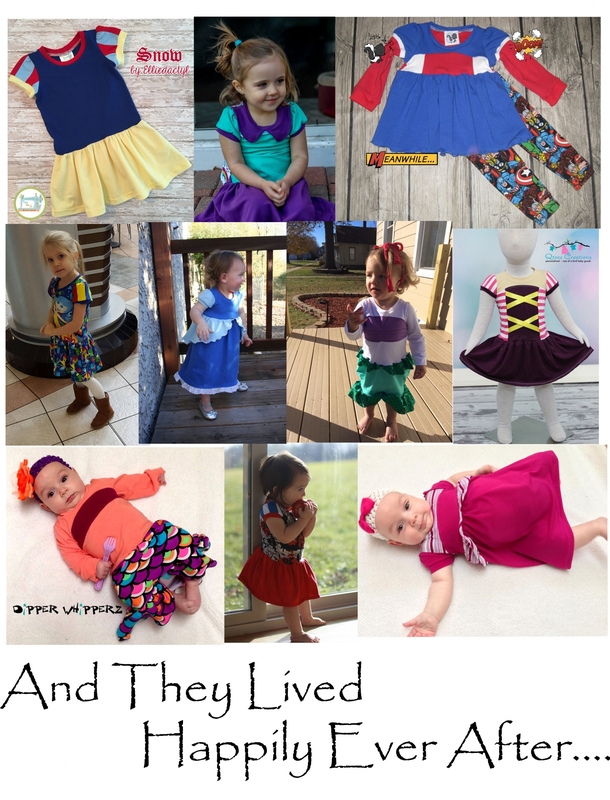 It adds numerous options such as drop waist bodice, faux corset bodice in empire or drop waist length, balloon skirt, mermaid tail skirt, knee or maxi length skirt, puff sleeves, color blocked puff sleeves and faux layered puff sleeves. 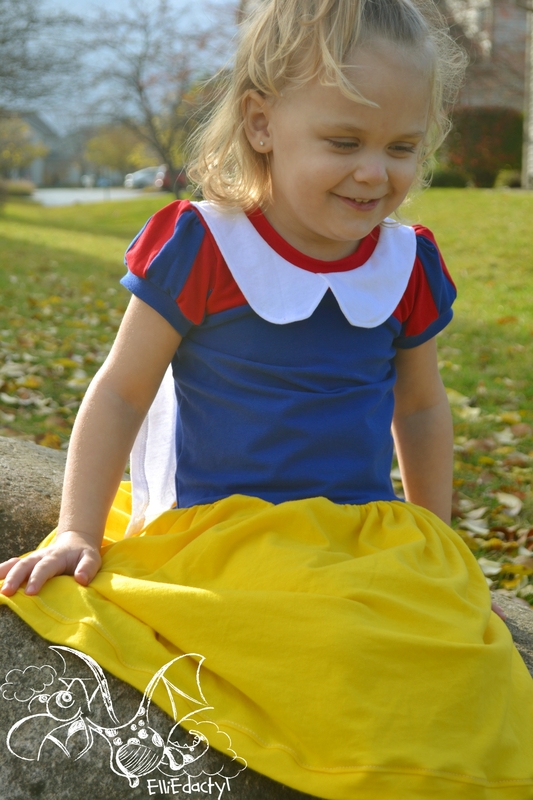 With a size range from 3m to 12, any young girl can be transformed into the classic princess of her dreams. The pattern is designed for knit fabrics only, knit or woven fabrics can be used for the gathered skirt portion. The full photo tutorial make it easy to sew, even for beginners. Included in the pattern is a "Sew Quick" guide with very basic instructions for experienced seamstresses. The pattern is saved in layers which allows the user to print only the size they need. Each size has the waist and pocket binding measurements right on the pattern pieces, which helps to make it easy to store for using time and time again.